Learn How to Become a Bartender. Welcome to Miami, Florida: the city of pretty beaches and even prettier people. It’s the city that’s known for their basketball team, their cuisine, and some of the best nightclubs in the country. Luckily for you, all of these create a need for bartenders and bartending schools. With so many opportunities to bartend, casinos, hotels, and clubs want only the best. Graduating from one of the following three bartending schools will teach you everything you need to know to land that perfect job whether it’s a bar on the beach, a hotel chain, or a casino. In this article, we’ll go over the Top 3 Bartending Schools in Miami. For years Elite Bartending School and Event Staffing has worked with aspiring bartenders to reach their goals of bartending in Miami. Offering workshops in both flair and mixology, students get a well rounded, hands-on education. The school offers classes in both the day and evening so students can take classes on their schedule. What makes Elite so unique is that they are a staffing agency as well. Although they cannot guarantee you a job upon graduation, they are in charge of staffing large events in Miami such as the Ultra Music Festival, Miami Heat basketball games, and the 2010 NFL Pro Bowl. So not only do they teach you how to be an excellent bartender by teaching you tips and techniques of the trade, but they can offer you assistance upon graduation at popular bars and events in the area. Since 1977, ABC Bartending has been teaching students the craft of bartending. Thus, it comes as no surprise that the school has gotten rave reviews from students and bars alike. Since their inception, the staff has done a great job at networking with local bars, hotels, and venues in the Miami area, helping to ensure that students continuously find employment upon graduation. With so many events taking place in Miami and so many bars in the area, bartenders are always in demand. During the 40 hour course students learn about mixing cocktails, bar terms, equipment, and handling money. In the Miami school, classes are offered in the morning, afternoon, and evening. There is a regular two week program and an accelerated week-long program to choose from. Because Miami has a large percentage of Spanish speakers, the school offers classes in both English and Spanish. Lauren A., a former student at the ABC Bartending School in Miami had a great experience: “I absolutely loved my time there, their connections with jobs and events is definitely a plus as well. I can’t say enough good things about this place!” Other graduates at the ABC Bartending School in Miami have gone on to work at restaurants in the Marriott hotels and Ritz Carlton. At 786 Bartend, courses are taught by experienced bartenders in a fun, relaxed environment. Each class is held in a real nightclub so you can get firsthand experience of what the scene will look and feel like when you start working. Afraid you won’t get a job after graduation? 786 Bartend runs a staffing agency all over Florida and they’ve worked with corporations and small businesses alike on themed events, golf tournaments, and black tie events. They’ve staffed for bartenders, servers, product samplers and promotional models, as well. Classes start several times a month in both Miami and Hollywood and come complete with training, techniques, and drink recipes. As the largest city in Texas and the fourth largest city in the United States, Houston is bustling with opportunities for aspiring bartenders looking to jumpstart their careers. Residents of Houston take pride in their city, with all of their museums, hotels, and restaurants found around town. If you’ve ever thought about working in the city and contributing to its growth, bartending is one of the best ways to meet all the kinds of people Houston has to offer. With two main bartending schools in the area, you’ll be giving back to your community while making plenty of money on the way. In this article, we’ll go over the Top 3 Bartending Schools in Houston. With over thirty-five schools nationwide, ABC Bartending Schools knows how to get students ready for a career as a bartender. The ABC Bartending School in Houston is not only a member of Career Schools and Colleges, but also the National Bartenders Association and Texas Restaurant Association. 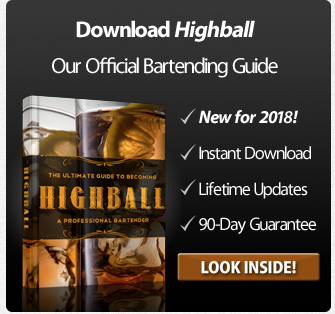 While many bartending schools just teach you how to mix drinks, ABC Bartending School in Houston teaches you how to upsell, how to talk to customers, how to handle money, and techniques and tips for a job interview. The school accommodates your schedule by offering daytime as well as evening classes taken over the course of one week, two weeks, or strictly weekend classes. Afraid you won’t get a job after graduation? Although they cannot guarantee you a job, the ABC Bartending School in Houston works with you to find jobs immediately upon graduation. If you decide to move, they’ll help you anywhere in the country. Just ask Ashley Sandergaard who works at Club Euro or Anthony Branch who got a job at the Capital Grill. Other graduates have gotten jobs at MGM Grand, Fox Sports Grill, and Chics Cabaret. The bottom line: ABC Bartending School in Houston gets the job done. When Jim Shearer opened the first Texas School of Bartenders 25 years ago, he wanted to teach aspiring bartenders the craft of bartending. He knew that bartending was more than just mixing drinks and handling money. Today, Shearer owns six different schools all the way from Dallas to Oklahoma City to Houston. Not only does he teach students the ins and outs of the craft but he also teaches them on Aloha POS system, so graduates can feel confident going into a job interview. The classrooms are equipped with the latest technology and equipment that many students will find at a bar or restaurant. The school teaches students everything they need to know including setting up the bar and handling money. Upon graduation students will feel confident with their TABC Certification to tackle any job at hand. Texas School of Bartenders in Houston has come a long way since they opened their doors. Since their inception they have won numerous awards and recognition. Skyy Vodka named them the National Champions in Las Vegas while the school also won the recognition of United Bartenders Guild National Champions. They’ve judged numerous “Best Bartenders” competitions and are members of numerous organizations such as the Better Business Bureau and the National Restaurant Association. 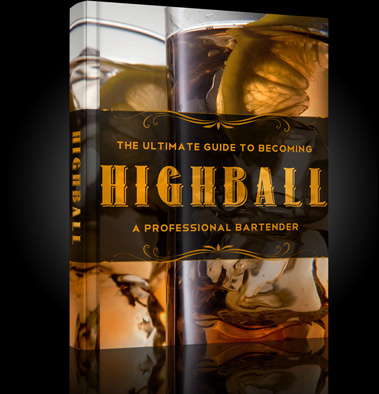 Top 2 Bartending Schools in Washington, D.C.
Facebook Like or Google +1 our site, and then use promo code HIGHBALL50 for 50% off our new eBook, Highball!